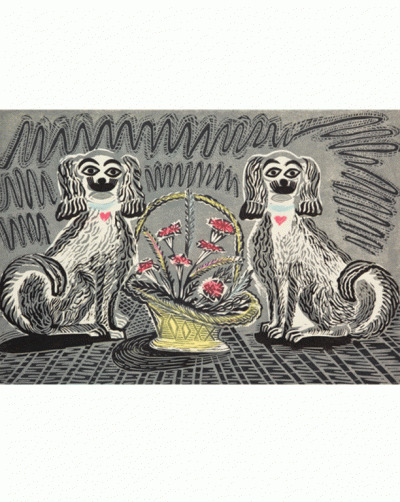 A fine art giclee print of the celebrated Enid Marx, Two Cats which was originally produced as part of a set of six linocuts between 1936 – 1970. 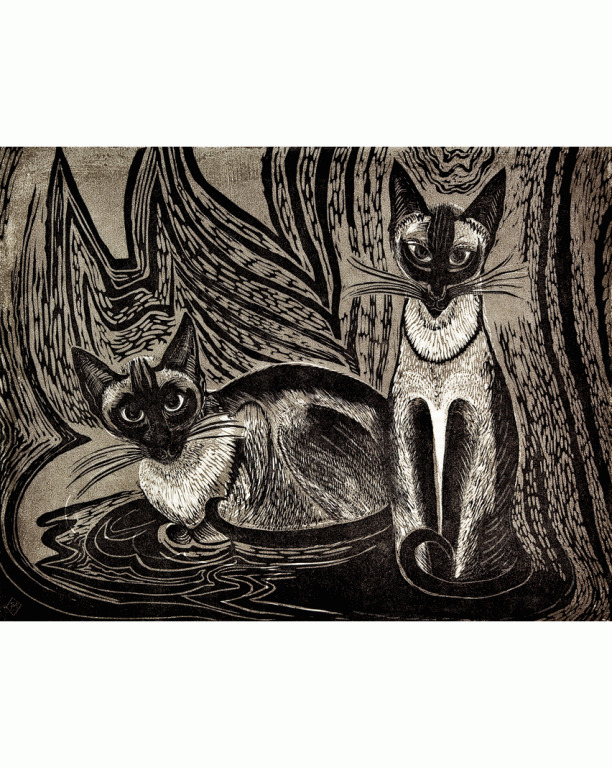 This print was based on two of her own cats, ‘Sam and ‘Arry’. The cats also appeared in a book illustrated and written by Enid Marx called Sam & Arry: Or Thereby Hang Two Tails published in 1972.